We continue our series on Cole of California, today focusing on the 1970s.This first 'Vamp Suit' by Cole was designed by Margit Fellegi. 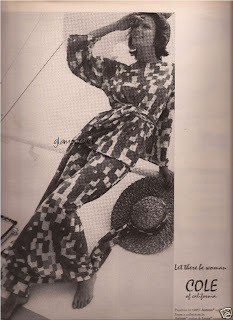 She stayed designing at Cole until 1972. 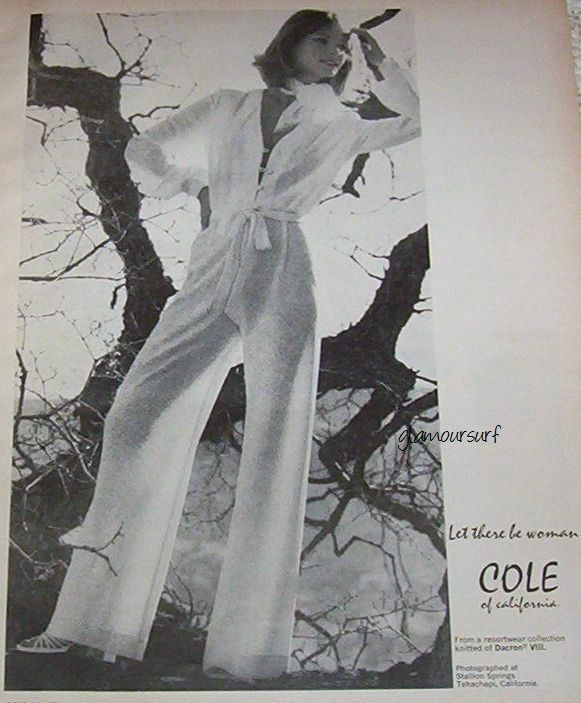 Cheryl Tiegs starts modeling for Cole of California advertisements in the 1970s. She became a superstar beach beauty along with Christy Brinkley, and became a favorite of Sports Illustrated magazine. 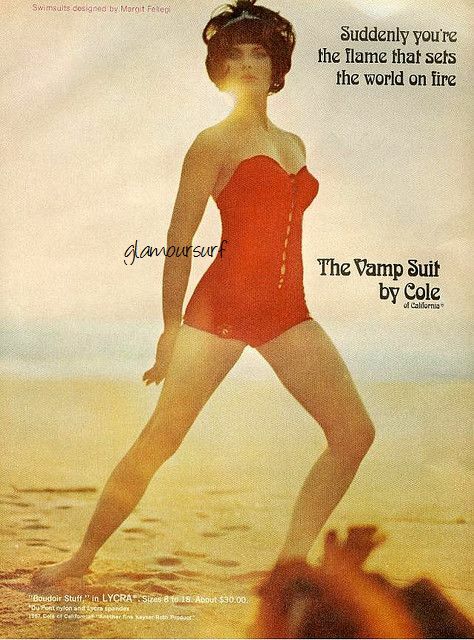 Here we see many of her ads for Cole of California. 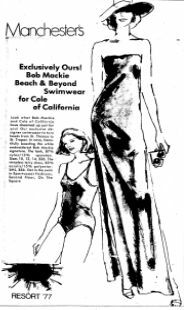 "Look what Bob Mackie and Cole of California have dreamed up for you. Our exclusive designer swimwear to turn heads from St Thomas to St Tropez. In navy, beautifully boasting the white embroidered Bob Mackie signature." Beautiful 70s suits! I think this posts shows how well how the fashion of the times is reflected in swimsuit design. I can see most of these with a filmy skirt on the disco dance floor. This is a great review of 70's suits. The red maillot that Jerry Hall wears really departs from the earlier versions with its simplicity and complete lack of structure. It's so iconic!